On Thursday, Corsair announced the launching of its first branded minitaure Thunderbolt 3 dock, the Elgato. The device which has a 4KP60-capable display outputs, USB T-A port and a Gigabit Ethernet connector. The Mini Elgator Thunderbolt 3 Mini Dock is aimed a those using the new Apple’s Macbook Pro laptop and needs an essential set of ports while on the go. The device has one DisplayPort 1.2 output, an HDMI 2.0 output (With HDCP support), a USB 3.1 Gen 1 Type-A port (5 Gbps, up to 1.1 A) and a GbE port. Being a compact gadget, the Thunderbolt 3 Mini Dock weighs just 125 grams (4.4 ounces) and looks like a big pack of mints. It also come with a foldable 12cm cable that can be quickly hidden away way not used. 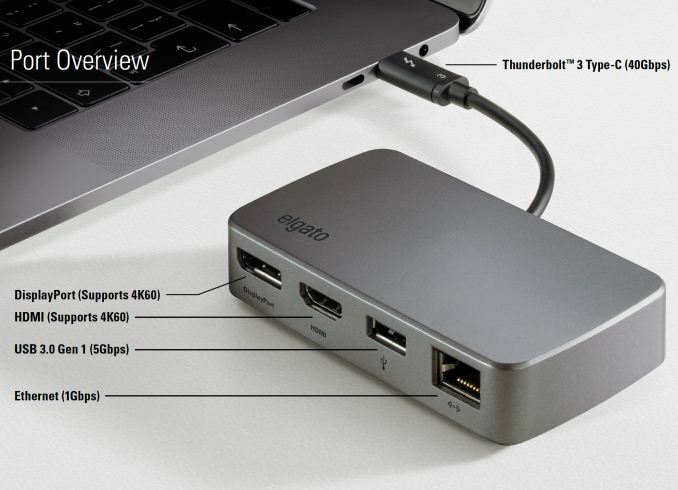 As for compatibility, the Elgato Thunderbolt 3 Mini Dock will work with Apple MacOS High Sierra 10.13 and later versions. And for PC users, it’s going to work fine with Windows 10 and later versions. But Corsair refused to disclose which Thunderbolt 3 controller it utilizes for it’s TB3 MINI dock whether they’re using the Alpine Ridge or the new USB 3-specifications strongly pointing to the traditional Alpine Ridge, making this a real TB3-Only dock. 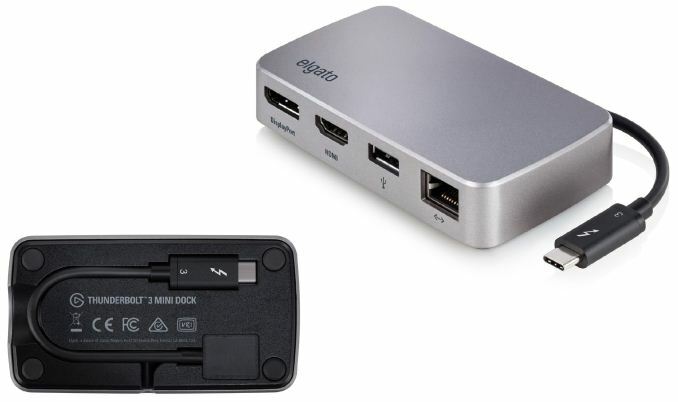 Meanwhile, to make the Elgato Thundebolt 3 Mini Dock more attractive to owners of various Apple devices, the product comes with the Elgato Dock Utility for macOS that enables high-power USB support and easy ejection of storage devices attached to the dock. Corsair’s Elgato Thunderbolt 3 Mini Dock will hit the market shortly. In the U.S. it will cost $149, while in other countries prices will be different. Like say Nigeria, you might have to import the device from online malls such as Jumia but a quick run through the store, I realized the absence as of now. But Countries like South Africa might have a direct shipping of the product while Kenya and Egypt might be under maybe.